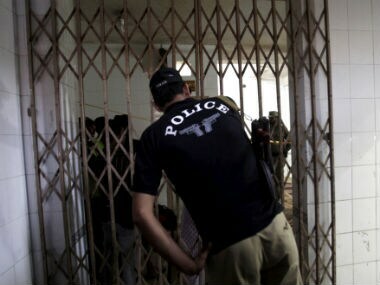 At least 27 people were killed and over a dozen others injured when an oil tanker collided with a passenger bus in the Hub area of Pakistan's Balochistan province, police said Tuesday. 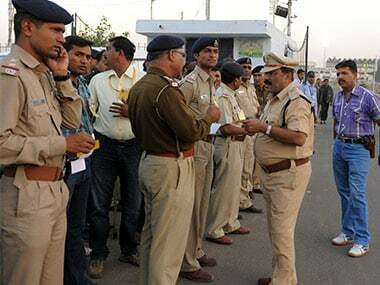 All the students, who were in the age group of 10-16 years, are residents of Amroli area in Gujarat's Surat. 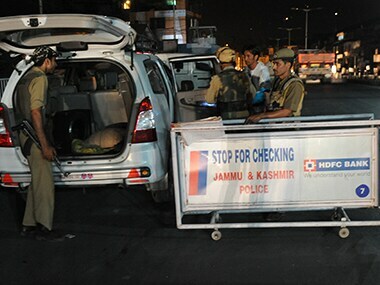 They were returning after visiting the Sabri dam in Dang. 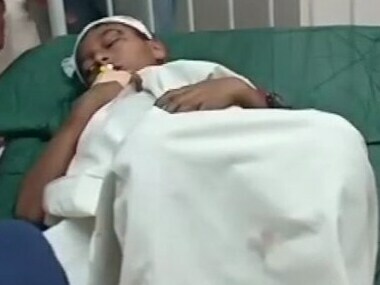 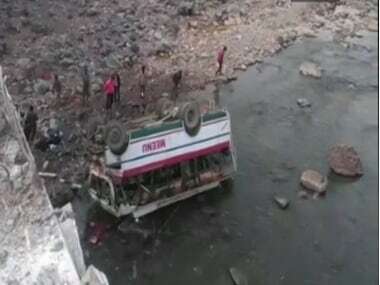 Five children were killed in a bus accident in the Dang district of Gujarat on Saturday when a bus carrying more than 50 students fell into a deep gorge on the Mahal-Bardipada route. 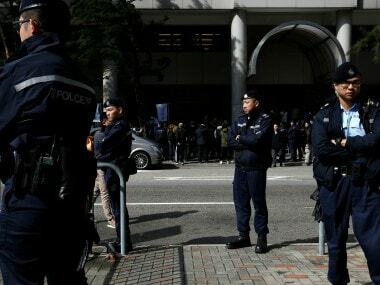 Hong Kong prides itself on having one of the world's best public transport systems but deadly bus accidents are not unknown. 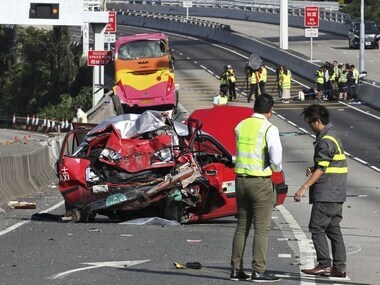 Five people were killed and 32 injured when a coach carrying Cathay Pacific staff to Hong Kong's airport collided with a taxi on Friday, police said, with passengers thrown from the coach's windows on impact. 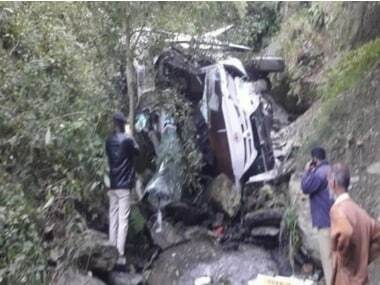 In another incident that took place earlier on Sunday in Himachal Pardesh, as many as 21 people were injured after a tourist bus they were travelling in fell into a gorge at Kiari Nallah on the Solan-Shimla border. 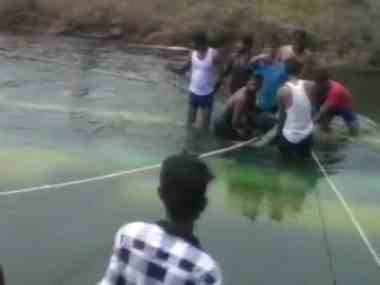 The bus fell into VC canal of the Cauvery river after the driver lost control. 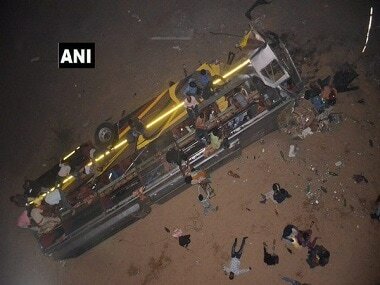 Karnataka chief minister HD Kumaraswamy, who is also in Mandya, is likely to visit the spot.